Science has long shown that life begins at conception. But recent technological advances in sonogram imaging have allowed us a more vivid glimpse into the womb than ever before. While expecting parents surely appreciate this technology, the advances in ultrasound technology are saving thousands of lives –resulting in a national push by pro-lifers to pass sonogram laws. A study showed that as many as 78% of abortion-minded women who actually view an ultrasound image of their unborn baby will choose life. 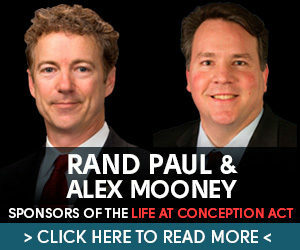 Noting the success of the state ultrasound bills, NPLA is advocating passage of additional state ultrasound laws as well as the Ultrasound Informed Consent Act, a federal bill introduced in the 116th Congress by Congressman Jeff Duncan (SC-3) that would protect women in all 50 states. For too long the abortion lobby has lied to women, pushing the false narrative that their unborn baby is “just tissue” or “a clump of cells” to convince them to abort. And while many states require abortionists to offer to show the ultrasound image to mothers, they are not required to actually do it. The result is 75% of women decline to view the image after the abortionist dissuades her from viewing it. That’s why the Ultrasound Informed Consent Act requires that the abortionist not only perform an ultrasound, but display the image so that the mother may view it. In states like Texas, Louisiana, and Wisconsin where laws requiring the ultrasound to be displayed for the mother to view have passed, pregnancy centers have reported a significant drop in abortion rates. 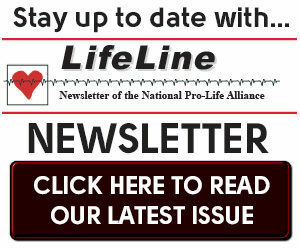 That’s why the National Pro-Life Alliance is mobilizing pro-lifers to support tough ultrasound legislation at both the state and federal level. The effectiveness of the ultrasound technology is not lost on the abortion lobby, who kicks into high gear whenever such measures are proposed. Truth is frequently the casualty of their no-holds-barred campaigns. When legislators attempt to pass a law to give a woman more information about abortions, opponents cry foul and wildly claim that the laws violate women’s privacy. 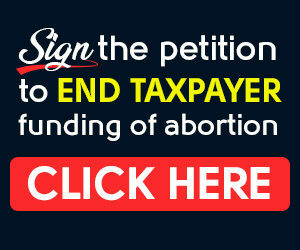 The truth is, an ultrasound law ensures that a woman has the opportunity to see the live image of the child within her. Since its invention, the ultrasound has changed hearts of even hardened abortionists. For example, Bernard Nathanson, the former abortionist who helped found the so-called “National Abortion Rights Action League” (NARAL), was involved with thousands of abortions, including some of his own children. Dr. Nathanson was influential in developing arguments to sway public opinion and affect the Supreme Court’s decision in Roe. 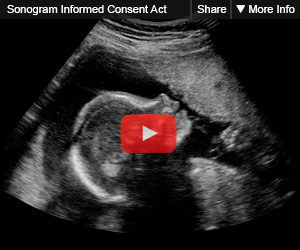 Shortly after the Supreme Court decision, ultrasound technology became available. Once Dr. Nathanson saw for himself the lively child in the womb he could no longer escape the fact that abortion ends a unique human life. Horrified, Nathanson quit performing abortions. He produced a documentary called, “The Silent Scream” using ultrasound stills that show in visceral detail exactly what happens in an abortion. Since Bernard Nathanson’s time in the ’70s, ultrasound technology has soared. These changes have enabled local pregnancy centers to bring women the truth and to meet their unborn children face-to-face. 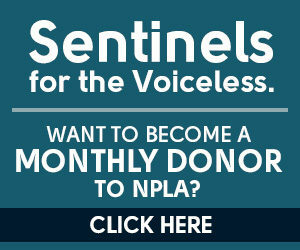 With such obvious benefits for the unborn, NPLA continues to build support both for additional state laws and a national Ultrasound Informed Consent Act (H.R. 634).